I am so happy today! 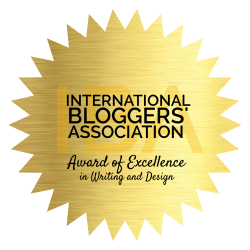 I received my very first blog award from my friend Nancy. I just don’t know how to express my happiness but definitely, my smile has reached my ears!! Anyway, the best thing when you receive something is to share it with somebody. 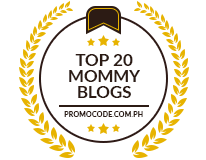 So, I would like to share this with my special friends: Lalaine – my first blogger friend (who inspired me a lot to blog) and Janet (who has a lot of great ideas to blog about). Again, thank you, Nancy, for this wonderful award. God bless! 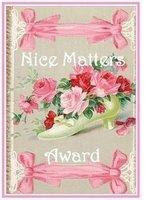 thanks ruby… i’m so touched.. my third nice matters award. thank you so much! Hi rubz! thanks so much for the award..I feel so unworthy..char!! heheheh!